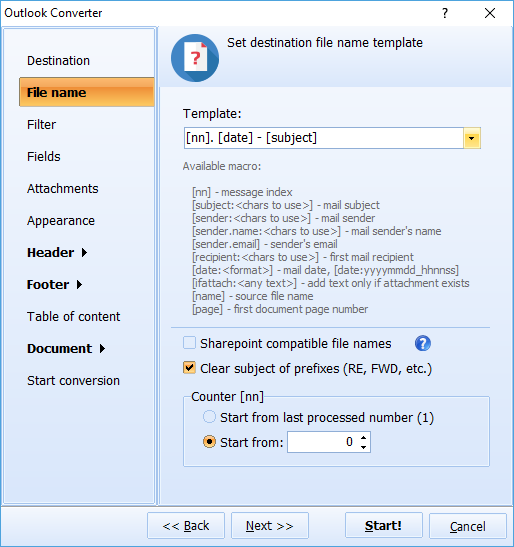 Outlook to PDF file conversion is so easy! When it comes to legal matters, accuracy is our top priority. 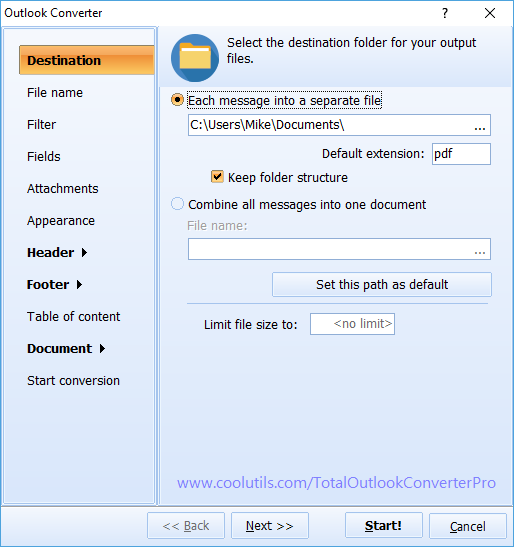 Total Outlook Converter Pro tranfers every detail of an Outlook email to the resulting PDF. We guarantee that no data will be lost. Our app supports both ANSI & UNICODE file types; emails written in Latin and non-Latin languages. Inserted links, images, even emoticons will be carefully tranferred. Stamp sequential bates numbers to the header or the footer of each page along with conversion. You may also add any text before and after the bates. Should you want to add the staring bates number to the file name, our Outlook converter can do that too. With Total Outlook Converter you can add predefined stamps such as confidential, commercially sensitive, for attorneys' eyes only to relsulting PDF documents. All done in one go! We are proud of our amazing attachment processing options. The problem is that an email can have numerous types of attached files. Emails, images, Office files, CAD drawings, PPT presentations, audio files, one engine can hardly process all of them. Not in our case. Here at Coolutils we've been developing file converters since 2003, so our app supports over 200 file types. Rest assured that every attachment will be properly processed. As every court has its own standards, Total Outlook Converter Pro allows customizing the output PDF. Change the style, font color or size, set new margins. You can even add your CSS scheme to get the tailored output. Most email converters offer filtering emails by properties. 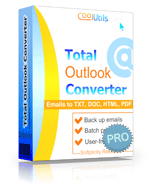 Total Outlook Converter pro goes the extra mile by allowing you to filter email by key words. It cost us months of work, but we know that our legal users need this option badly. Our converter does not require either MS Outlook or Adobe Acrobat to be installed to convert PST to PDF. 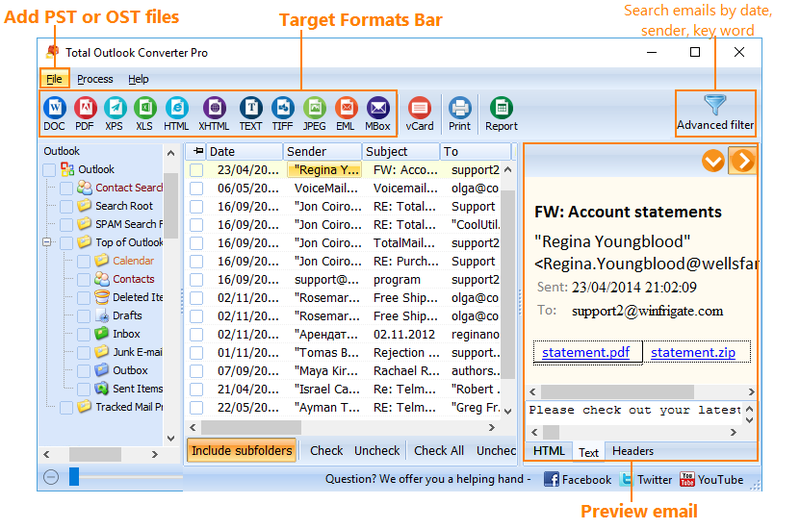 Total Outlook Converter Pro will minimize the routine of discovery and production. It allows you to process huge amounts of data and always produce neat results. Total Outlook Converter Pro runs fine on Windows 2000/2003/Vista/7/8/10. Personal, educational or other non-profit use. For business or government environment. *Keep your legal e-discovery prices competitive with our app. All licenses are life-time and include 1 year of major upgrades. Act now! "We have a legal requirement to scan our emails for questionable words and phrases. We receive emails from various sources and in various formats, so we put them all into the .eml format to facilitate the scan process. We use Total Outlook Converter Pro to convert the emails we receive (in .pst files) into the .eml format. As such, our primary interest is that the .eml output of the process should be a faithful image of the original emails residing in the .pst files, including any attachments. 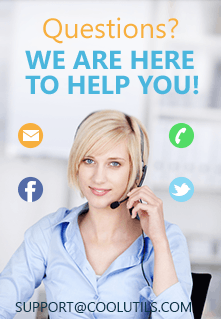 So far Total Outlook Converter Pro has worked very well for us." "Your program came to my rescue when I had to dig out emails to and from an employee who left our district 8 years ago. We are a small K-12 district of about 500 students and received a public information request as part of a legal investigation. Total Outlook Converter Pro allowed me to get the job done in less than a day."